May 20, 2016, days after completing their last class at Sheridan High School, several graduating seniors returned to Sheridan schools to present Impact Awards to their favorite teachers. These students wanted one more chance, before moving on to the next chapter of their lives, to express gratitude to those teachers who made the most significant impact. Among these students was Jesús Rojas, who moved from Mexico to East End in the fourth grade. On his first day of school at East End Intermediate, Rojas did not understand English. The way he felt about his new life in East End was greatly influenced by the school’s teachers and secretaries. “They were such a blessing,” he said. 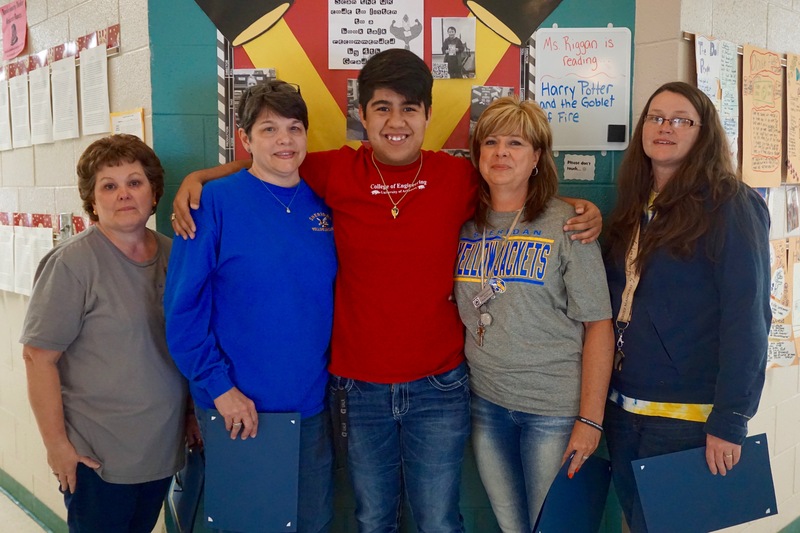 When presenting Impact Awards to his former teachers — Alisa Alderman, Liz Diemer, Nanette Galyean and Jodi Holladay — he told them he wanted to thank them for all the extra time they spent helping him with his studies while he learned English. He added that he felt they were the key to his success. Rojas’ teachers, as well as the other teachers receiving Impact Awards that day, were very grateful to see their former students again and hear how they influenced their lives.